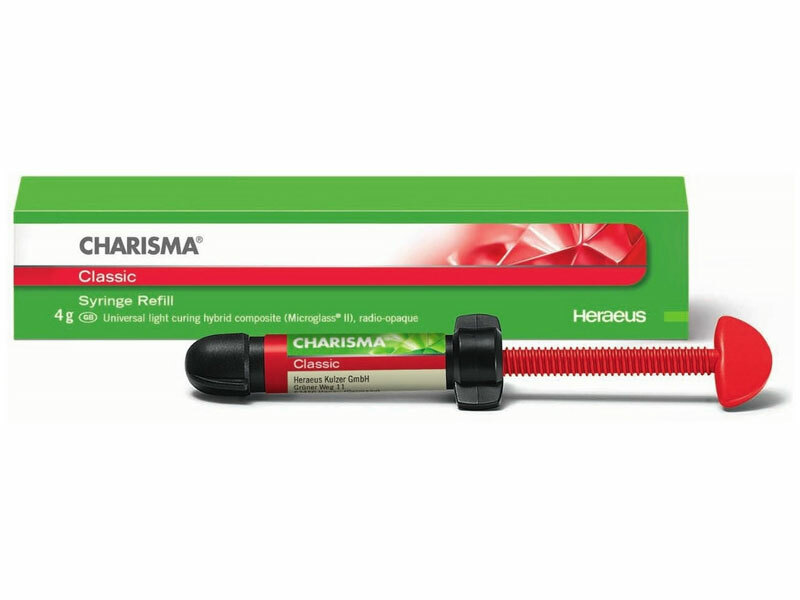 Charisma Classic Syringe offers an easy shades range which contains the standard VITA shades and more intense opaque shades to easily mask discolorations. The shades guide consists of the charisma Classic original and not of acrylic. This assures color fidelity between the shades taken and the restoration. Shades are : A1 , A2 , A3 , OA1 , OA2 , B1. Its creamy consistency allow fast and easy modeling. Excellent finishing & polishing properties. Versatile all rounder for many indications. Its radiopacity enables a save and reliable diagnosis.